What are Third Party Logistics 3PL Services? Third Party Logistics 3PL that deals with transportation or freight management (including technology, freight accounting, and services around claims) in the distribution of goods and services. 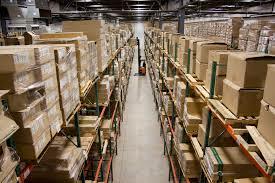 Here at Florida Warehousing, we specialize and provide third party logistics 3PL services to our customers. In retrospect, we do this by monitoring the warehouses, transporting goods, and handling the operations so the process can be run efficiently in a timely fashion. When it comes to partnering with our clients, we do our best to save them time. Because of this, our customers can focus on their own time and energy into other parts of their business such as gaining new customers and servicing existing customers. Although third party logistics was created decades took ago and technology is moving at an exponential rate, our services are here to stay. By following the market trends on a consistent basis, we can meet our client’s needs at an ever-changing pace. With Artificial Intelligence, Data Analytics and Machine Learning on the horizon, it will help propel third party logistics by the year 2020. This is great news for our services for it will help improve tracking and trace operations during the process. When it comes to partnering with our clients, we do our best to save them time. Our customers can focus on their own time and energy into other parts of their business such as gaining new customers and servicing existing customers. We handle the distribution in-house which will help again cut cost costs normally spent on robust and expensive transportation systems. Once your company decides to outsource all of the important parts of our operations, the only thing our clients will have to do is to head to the loading dock where their finished goods are safely put. In the end, we tend to be cost-effective in our distribution of goods and services which actually save our client’s overhead (such as employees, infrastructure, software, and facilities). As far as saving our customers money, we do offer a pricing model including insurance packages for all of our services. We also offer a FREE Consultation to see if we will be a great fit for your business venture. This is pretty much how Florida Warehousing coordinates the use of 3PL services for administrative and customer service concerns for our clients. Our business partners can focus mainly on other areas of business such as a marketing, productivity, and budget costs. Transportation of goods and its distribution plans are supposed to be elastic and changeable since it has to adapt to the new trend and market changes, therefore, 3PL providers are needed to confirm decisions on distribution and to set up plans that businesses might not be able to handle on their own. We can decrease and minimize the overall business expenses of our clients. Our customers will not have to waste their time worrying about distribution. In contrast, they can focus on productivity and launch their product to their audience. Our customers can also rest assured that we will adapt to any technological changes in the coming future. © 2018 | Florida Warehousing and Storage | All Rights Reserved | Website Created By The AD Leaf.